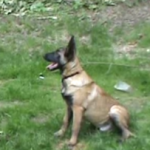 Eli is a 16 week old Belgian Malinois puppy who came to me for advanced off leash obedience training and Dog Training in Harrison NY. Eli’s owner has young children in their home, so they wanted a great family dog, and a dog they could take everywhere they went in public. When raising a puppy, it is critical to implement clear, fair, and effective methods that will prevent future issues from arising. A little training early on, can go a long way in preventing difficult issues down the road. Whether you are in need of dog training or puppy training in Harrison NY or anywhere else, you can benefit from my Housebreaking Protocol and Puppy Training Tips. A truly obedient dog is one who will listen to obedience commands anywhere and anytime, not just for treats when there are no distractions present. My obedience training system has a track record of success with puppies and adult dogs of all ages, breeds, and sizes. When teaching your dog obedience commands, make sure to follow a safe and effective dog training system. 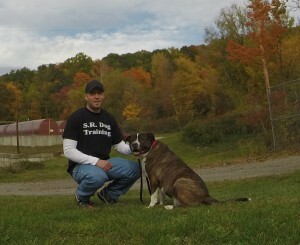 Po’s owner contacted me for in-home dog training in Harrison NY in order to address very frustrating and potentially dangerous dog training problems. 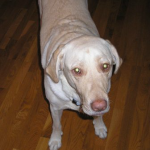 Po is a large adult Lab who would become very excited and unruly when guests would come to the door. He would bark, jump, and mouth whoever would enter the home. Many owners struggle with this frustrating challenge every day. The best way to address this type of behavior problem is to work on it in the exact setting/place where it is occurring. The reason why my at home dog training system is so effective, is because we train the dog in “real world” scenarios. We do not work in a “sterile environment” like an empty classroom without distractions. If you’re having problems in your home, we work in your home. If you’re having problems walking on the bike path, we work on the bike path. If you’re having issues at the park, Veterinarian’s office, or anywhere else, that’s where we work. Po’s owner struggled with taking him for walks around the neighborhood. He would constantly sniff the grass and mark tress. He was a big leash puller who was VERY reactive to other dogs. Whenever Po saw another dog, he would bark, lunge, and pull his owner toward the dog/human. This is a potentially very dangerous behavior, because he could drag his owner to the ground or get in a fight with another dog. Po’s owner was forced to only walk him at a time when she knew no other dogs were around and avoid certain streets where dogs might be. If she came across another dog, she would walk up the driveway of the nearest house in order to get out of the way and minimize Po’s reaction. Whether you are in need of dog training in Harrison NY or anywhere else, there is no need for you to live frustrated and stressed with your dog. We focused on proper leash walking technique, concepts, and body position. These changes transform a highly reactive strong leash puller, who is dragging their owner on an uncomfortable walk, into a polite dog whose owner can walk them comfortably on a structured walk. My at home dog training system helps owners address their dog training challenges in the exact “real world” setting where they are occurring. Solving issues like this should not take months to fix. With safe, simple, and effective methods, issues that have been going on for years can be improved in weeks.